There are new Milestone Cards and updated books. Milestone Cards. Your Child Can Discover! Math, Music, Colors, Shapes, Logic Patterns, and Prepositions! This deluxe kit includes all three Your Baby Can Discover! Your Baby Can READ 82 Word Cards, Game Cards & Misc DVDs By Robert Titzer, PH.D.
P lus Parents Guide book. You will receive exactly what is pictured. YOUR BABY CAN READ! 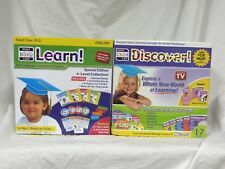 Early Language Development System 5 DVD's set and word cards. Good used Condition. Shipped with USPS Media Mail. Your Baby Can Read Book My First Words - 30 words for growing minds - Early Language Development Tool written by Robert Titzer, Ph D. 30 Words Baby. This is a pre-owned book. There is a bit of shelf wear on the outer cover and spine of the book. The inside is all intact and ready for your little one to begin learning! Please see the pictures for the overall condition. From a smoke free home. Please email with any questions. Thanks! I am shipping this via USPS Media mail because it weighs one pound and would have to be sent via Priority mail. It can take 8 days for delivery. If you would like it delivered faster, please let me know and I can provide shipping costs. Thanks! 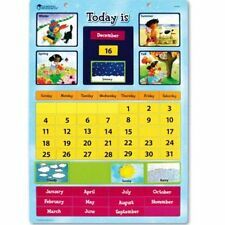 Your Baby Can Read Early Language Development System Complete Set 3 MO - 5 Years. Condition is New with one of the dvds being opened. Shipped with USPS Media Mail. Your Baby Can Learn! Each of the 5 Special Edition DVDs contains at least 2 videos for a total of 11 Your Baby Can Learn! DVDs are included (this is the follow-up series to Your Baby Can Learn! ). Your Child Can Discover! Which features Dr. Titzer's fun, multi-sensory reading approach.". Your Baby Can Read! YOUR BABY CAN LEARN. There are new Milestone Cards and updated books. This set is theNEW andUPDATED Version of the Original Classic set. 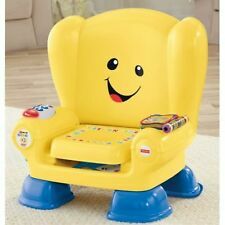 Reading System for ages 3 months to 5 years. What a great gift to give the little one in your life! YOUR BABY CAN READ! Learn To Read Word Cards Vol 3 Robert Titzer. Condition is Used. Shipped with USPS Media Mail. Kit includes 2 Temporary Scented Hair Colors, 2 Makeup Colors 1 Sheet of Gems, 1 Stencil and Makeup Applicator. Picture is of actual item for sale and what you will receive. For instance, in English the child may see and hear “Clap your hands!”. while watching children clap their hands. In German the child would see and hear “Klatsch in die Hände!”. These updated videos highlight words as they are spoken. NEW. Magformers Dolce My First Owl Clock Interactive Stuffed Animal Plush Toy 9"
With easy to move hands, interesting knitted body, squeaker and Dolce teether this is great product for a child at any age. Dolce My First Owl Clock. Designed specifically with newborns and young children in mind, the Dolce My First Owl Clock has a soft velour body that is perfect for cuddling. 14 Sliding Word Cards. One is missing. Starting early is the key to reading success. YOUR BABY CAN READ! Learn To Read Word Cards Vol 2 Robert Titzer. Condition is Used. Shipped with USPS Media Mail. Your Baby Can Learn! 4 Special Edition Your Baby Can Learn! Digital parent guide Dr. Titzer's Guide to Early Learning. Bonus= Digital parent guide Dr. Titzer's Guide to Early Learning. EVEN BETTER PRODUCT! This new version has even more written words! This new video intentionally uses different fonts, font colors, and background colors, and sorts the words by categories. All of this added variety should make this new video even more interesting. Robert Titzer - Your baby can read !Lot of 2 books.Lift-a-flap book2 and 4. Very good condition. It is coming from smoke free and cat friendly home. 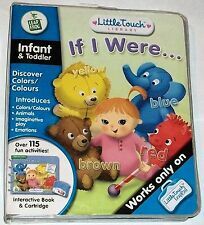 5 Lift Flap Word & Picture Books - Starter through Review. 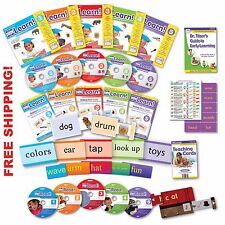 Missing is the starter DVD, the First Worlds Slide and Learn Book, and the box of 82 Double Sided Word Cards which may have replaced the Sight Word Cards from earlier versions. Condition is Like New. The 10 books are from the Rand McNally, and are all unused Start-Right Elf books. I don't know when they were printed. There is a place for a picture from each year, from pre-school all the way through high school graduation. 1 Parents Guide Workbook. 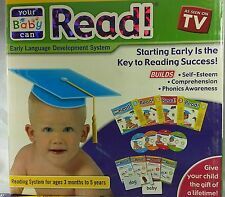 "Your Baby Can Read" Reading System DVD, BOOK CARDS, WORKBOOKS. Excellent Condition. Other DVD's still in plastic wrap. Books and workbooks in excellent condition. Mostly not used. 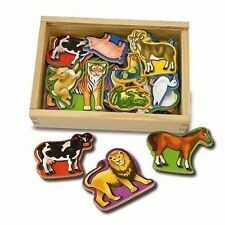 This Is A Great Set Of Your Baby Can Read Sliding Word Card Sets 2 3 4 Robert Titzer Pictures Words! Sets 2, 3, and 4 Sliding Word Cards. Each set includes 5 word cards and one blank card. Great, clean condition. excellent used condition from smoke free home - has been washed and can be easily thrown in the washer anytime as needed to freshen up! 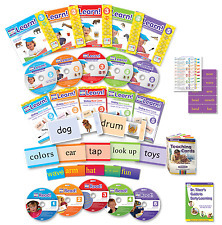 Your Child Can Learn Early Learning Kit. 6 DVDs & 4 Books for (Patterns, Shapes, Numbers, Prepositions, Colors book is not included). 5 Finger Puppets. 6 Touch and Feel Cards. Carrying Case. Condition: New in Open Box. 1 Double-Sided Storyboard. 4 Board Books. 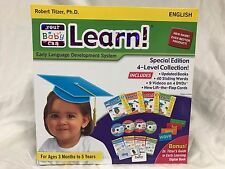 YOUR BABY CAN READ Complete Set - Age 3 Months - 5 Years Robert Titzer. - by: Robert Titzer, Ph.D. - 20 Sliding Word & Picture Cards. - You’re Baby Can Read. In very good, gently used condition, box has scratches and dings, the DVD's are in great shape and work well, see photos. Cursive Handwriting Practice Booklets for 8-10 yrs. Your child can read sooner! This book is designed for the child who recognizes the letters of the alphabet, but cannot yet sound out words. This is a picture book with words such as "TV" that most students can read before they learn phonetics or word recognition. For instance, in English the child may see and hear “Clap your hands!”. while watching children clap their hands. In German the child would see and hear “Klatsch in die Hände!”. 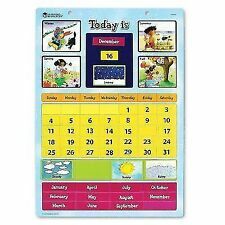 Ages 3 months to 7 years for non-native speakers, ages 3 months to 5 years for native. So popular with families all around the world. This entertaining series will introduce your child to early learning concepts in an interactive and engaging format. Prepositions - teaches number concepts, including addition & subtraction. 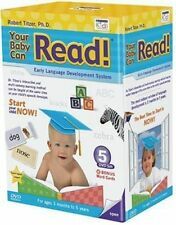 Your Baby Can Read Complete 3 Volume Set Early Language Development System. Condition is used. In good condition, the sliding cards have some wear - just a few of them. There is one “elephant” card that doesn’t slide back in because of the damage. You can see in the picture. I have to fold it so that it fits inside the box. Also, there is one sliding card that is missing from one of the packs. The DVD’s play good. The books are in good condition. Age : Up to 5 months.